Looking for storage solutions that don’t sacrifice style? This functional storage furniture can help decrease household clutter while still contributing to your home décor. Does your interior design style favor modern home furniture? This two-toned credenza features four doors, two adjustable shelves, and one tray door, making it the perfect living room storage cabinet for your modern living room. 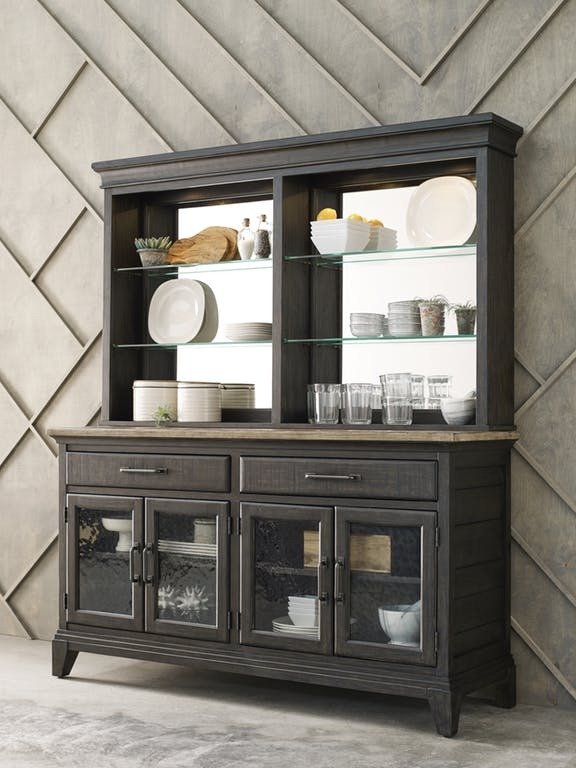 This rustic sideboard buffet and hutch comes with plenty of dining room storage. 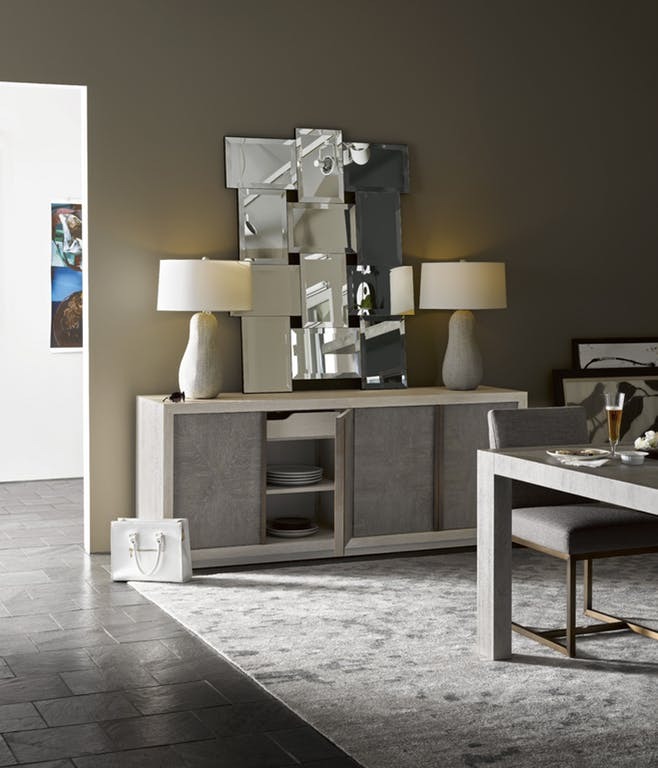 The buffet features four doors, two drawers, adjustable wood shelves, and a silverware tray, and the hutch comes with four adjustable tempered glass shelves, two can lights, and a mirrored back panel for an extra splash of style. 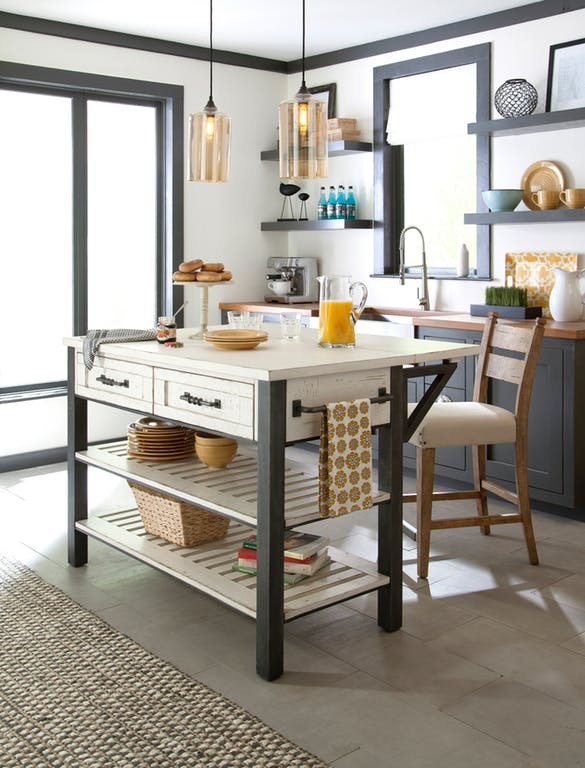 Whether you’re short on kitchen cabinets or simply looking for small kitchen ideas, this kitchen island dining set from the Trisha Yearwood Home Collection can help with all of your kitchen storage needs. The kitchen island comes with two fixed shelves, two drawers, and a towel rack. Plus, its farmhouse-inspired charm is sure to add something to your interior design. Especially when you have kids, it can be hard to keep your house clutter-free but choosing the right storage furniture can make it easier. This large armoire comes complete with a corkboard and felt-lined storage box, four interior drawers, and adjustable shelves. Designed with safety, functionality, and style in mind, this traditional armoire is the perfect fit for your child’s bedroom. Love the mid-century modern and industrial-style interior design trends? 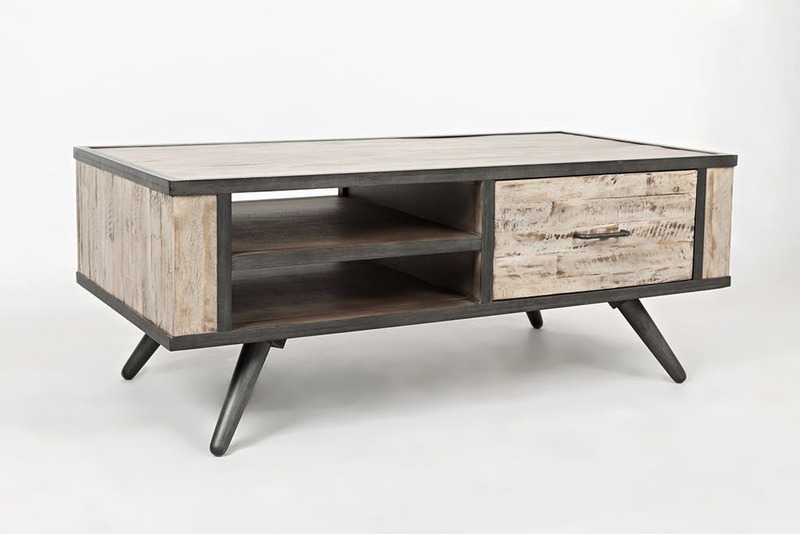 This wooden coffee table features one storage drawer, two open shelves, and a beautiful grey wash finish. Not only will it contribute to your living room storage, but it’s also a stylish piece of home décor. 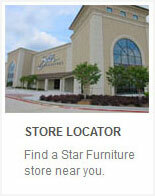 If you’re looking for traditional, transitional, casual, rustic, or modern furniture in Houston, Austin, San Antonio, or Bryan, Texas, head to a Star Furniture store today. In the meantime, check out our interior design blog to explore everything from the best sectional sofas in every price range to how to take care of your new mattress.